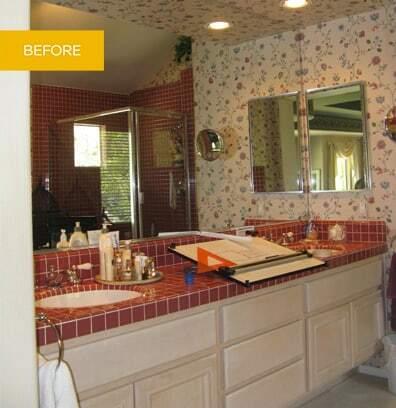 The clients for this bathroom were a couple with a difference in age of about 25 years. Their needs and desires were distinct. The husband, approaching 90, needed the safety features inherent in universal design. The wife wanted to accommodate her husband’s needs, along with her own in the future, while also having a luxurious space where she could retreat and enjoy their fireplace and garden. We blended the differing needs of the clients by starting with an outline of luxury, and then finding innovative ways to introduce universal design elements. 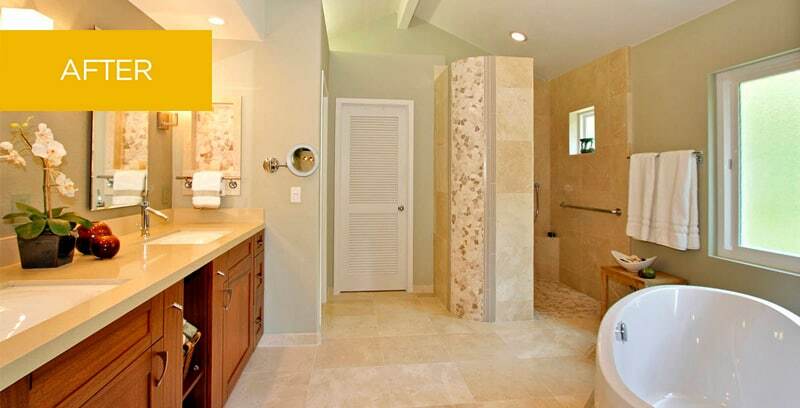 This tranquil and refreshing space beautifully achieves its dual purpose of relaxing sanctuary and universal access.